New Price: Kimberley Development's Brookridge II plan in the Villas of Briarwood Heights Over 2800 sq ft finished, 2 BR on the main, 2 BR down, sunroom, finished lower level. Awesome open floor plan. The family room has a stone fireplace. The large kitchen has a corner pantry, beautiful countertops, stainless appliances & large island. The large master suite & bath have a private toilet, tiled shower, large walk-in closet. Lg laundry room & mud room. 2nd BR is on main level w/ full bath. The LL includes a large family room, wet bar, 2 more BRs and full bath. Tyvek wrap, passive radon system, 30 yr shingles & Smartside siding. 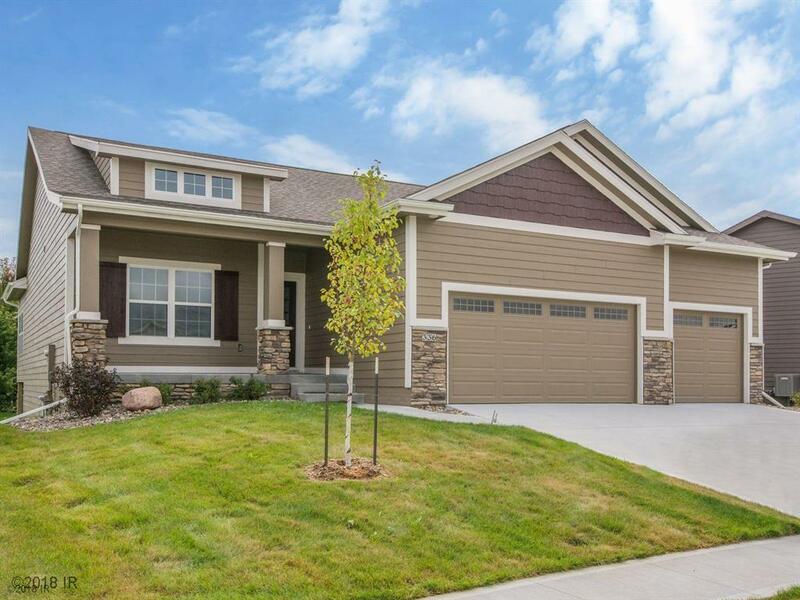 This homes sits on a large homesite and backs to the east. Irrigation is included in low Assoc fee along with snow removal & lawn care. Single family living with convenience of a townhome community. Quality you expect in a Kimberley home voted Ankenys best 11 years.